I know I always say how proud we are and how much we love our little girl, but lately she has been amazing us left and right. 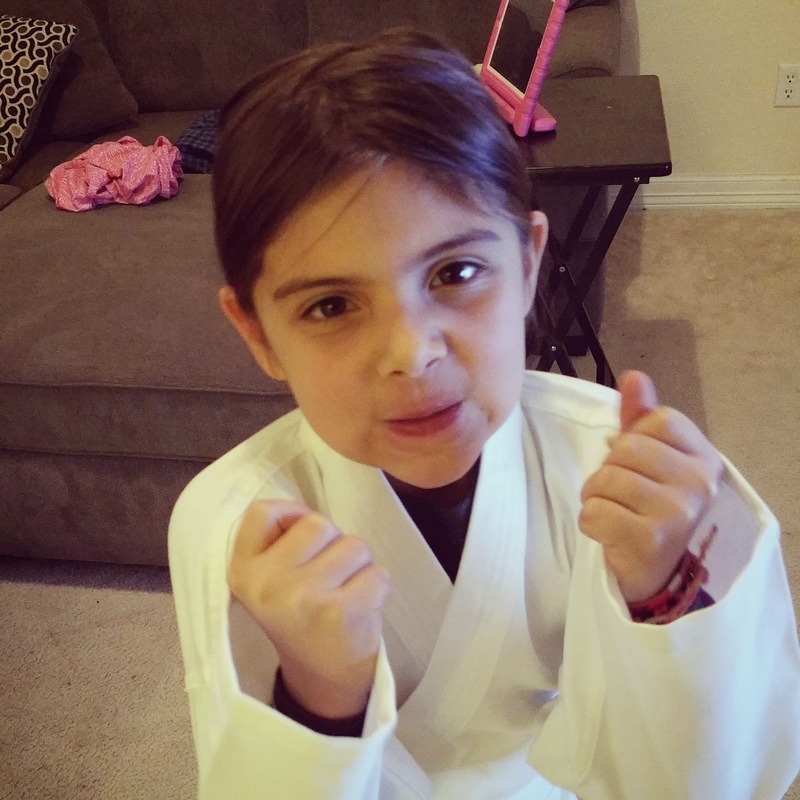 We signed her up last month for Karate/Krav Maga and she started classes a week ago. When she went in last month to try out for karate the teachers said she was a natural & we shook our heads because honestly, she's pretty much a natural at all sports she plays. Here's the thing, ever since she started classes, she has started helping around the house more, getting her own things instead of asking us to get them, sleeping every single night in her bed without fussing (this is a huge one in our house! ), the changes are unbelievable. They teach her not just karate, but self defense. They hold her accountable for her school work, chores at home, etc. We are so very proud of this little girl.